A look into the Division protecting the health and environment of all living and working in San Mateo County, California. Since January 2016, the San Mateo County Augmented Housing Inspection Pilot Program, approved by the County Board of Supervisors in 2015, has hit the ground running and is showing positive results. In just six months 76% of the health and safety violations reported at 348 apartment complexes targeted by the pilot have been resolved. Use less-toxic pest control methods to help you get rid of or prevent unwanted pests. Indeed, bed bugs can bite in the night and can happen anywhere, anytime and to any one. Bed bugs can get inside homes, apartments, hotels and other locations via infested clothing, shoes, luggage, backpacks and furniture. They can travel between cracks in walls or can come find you from an infected place you visited. See below for some information so you can stay on top of the nighttime crawler. As we ring in 2016, two new housing laws went into effect starting January 1 that will impact renters, landlords and property managers. The new laws will help protect the health and safety of renters. Mold spores can grow and encase more than just walls. Clothes, shoes, photo albums, books, and paper can all be lost to spreading spores. Molds can be found almost anywhere and when the spores land on a wet or damp spot, they can easily multiply. When living in the Presidio of San Francisco, my clothes, shoes, photographs, books, and suitcases became discolored and acquired a musty odor. Washing the items provided no relief. Every morning I used to wipe down windows dripping with condensation. My cousin suggested a dehumidifier that includes a moisture meter and my home registered more than 80% moisture levels, well above the recommended 60% or less. The dehumidifier pulled from the air an impressive amount of moisture that was converted to water once inside the internal bucket. My recurring sinus infections may have been caused by excessive moisture. Carbon monoxide is a deadly gas found in appliances that burn fuel such as heaters, furnaces, gas stoves and fireplaces. What makes it so deadly is that it’s odorless and colorless, making it hard to know it’s around. People and animals can pass out, suffocate and in some cases die. 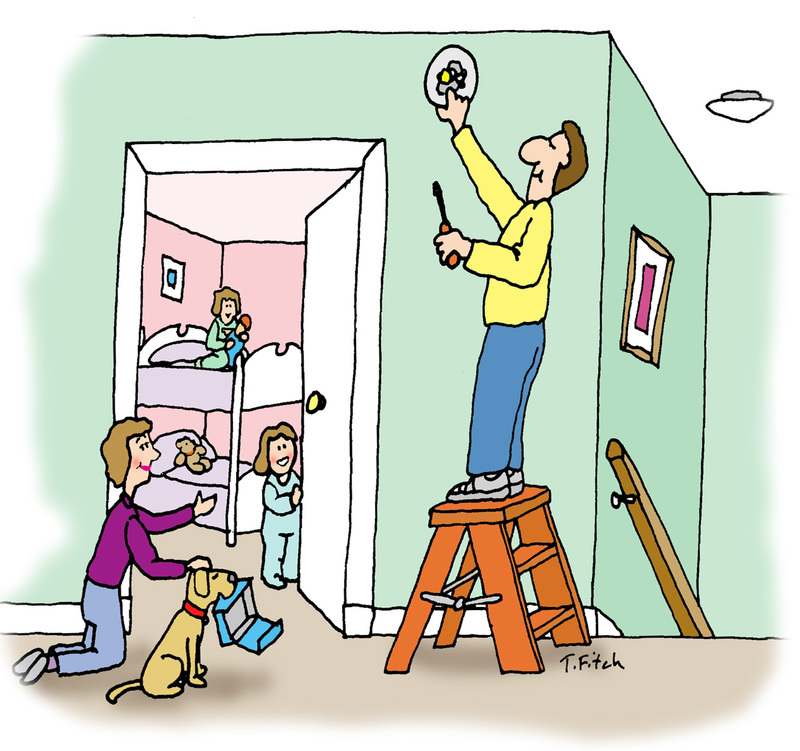 However, there is a simple fix to that – getting a carbon monoxide detector. Installing a device is cheap and easy to save your live and the lives of others.